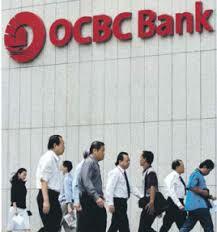 OCBC Bank is Singapore’s longest established local bank. It has assets of S$134 billion and a network of 292 branches and representative offices in 15 countries and territories including Singapore, Malaysia, Indonesia, China, Hong Kong SAR, Japan, Australia, UK and USA. terms of assets and market share. and South East Asia and Global Finance magazine’s Best Bank in Singapore.